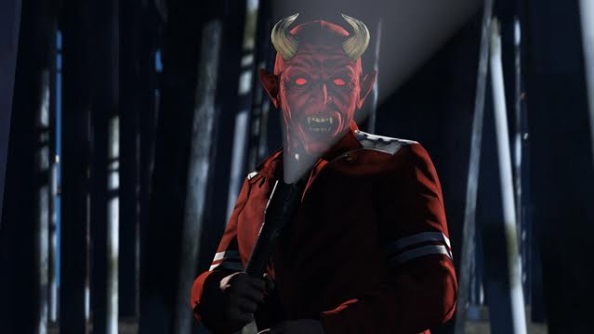 Joining every other PC game ever on the Halloween trick-or-treat parade, Grand Theft Auto V is adding some spooky delights to the Online multiplayer side of things. From now until November 16th, GTA Online players can pick up some flash new vehicles, hideous face masks, and play in a brand new mode. Need cool stuff in GTA? Try the best GTA mods. 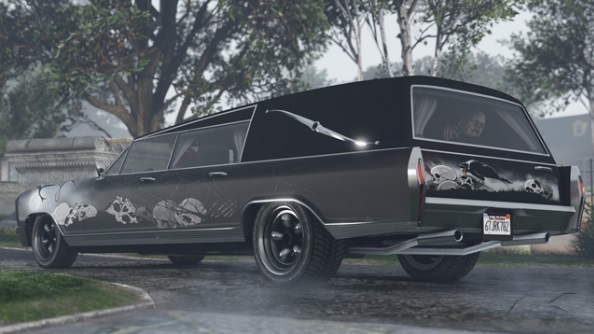 The Halloween Surprise update adds two new rides: the Lurcher Hearse and the Franken Stange. They’re perfect for getting away if you’re idea of fun is trick-or-treating and mugging the person who answers the door (that’s what GTA’s all about, right?). You can scare the life out of the people of Los Santos thanks to a new collection of Monster face masks, available at Vespucci Movie Masks. There’s also now 30 new facepaint styles too. A new mode has been added in the form of Slasher Adversary, which has people running and hiding from the player designated as the slasher. He gets a shotgun, everyone else has a flashlight. It’s all in the dark, so turning on your light to find a hiding spot will reveal your position. Survive for three minutes, and you can get a shotgun to start your own stalk. Any cool treats you manage to acquire in your Halloween rampage will be yours for life: there’s no magical curse on them that will make them disappear after November 16th.